Everyone wants smooth, flawless skin. A great way to achieve this goal is with the help of fillers. Fillers fix everything from fine lines and wrinkles to lifeless lips. Before you commit, read our tips on everything you need to know about fillers. If you have never received any kind of Botox or filler injection, then you may not know that you should steer clear of any blood-thinning medications before the procedure. Anticoagulants like aspirin and ibuprofen work to prevent blood clotting, which increases your risk of bruising if the needle hits a blood vessel. For this reason, avoid any blood-thinners for a week before you are treated. Other supplements and foods to avoid pre-treatment include fish oil, multivitamins, cinnamon, ginger, green tea and red wine. All of these high-antioxidant products thin the blood and stop it from clotting. To be on the safe side, ask your doctor for anything else you should avoid before injections. Most fillers are typically made with hyaluronic acid, a substance naturally found in our bodies. As we age, our bodies gradually reduce the production of this, causing the formation of wrinkles and fine lines. Once injected, the hyaluronic acid spreads and works to smooth skin and fill wrinkles. Because it stores moisture, the substance gives skin a hydrated, plump look. Many doctors will use a numbing cream before injection. Expect to feel a small pinch when the filler is injected. While it is not an enjoyable feeling, it is bearable. Although the risk of bruising afterward is high, any bruises should diminish within a few days. Your provider should observe your face in several areas before, during and after injecting. Beforehand, he or she should ask you to smile, frown and raise your eyebrows. Doing this will allow them to see how your face moves in different areas, and therefore help your final look remain natural. The ideal look provided by fillers will be a natural, plump pout. When performed properly, duck lips or trout pouts are avoided. Ideally, you want a change that will be noticed, but is not pinpointed to your lips. 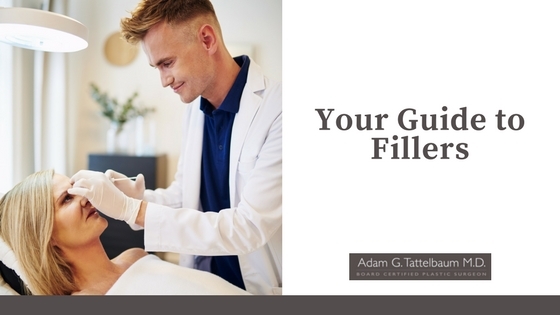 Results typically last for anywhere from three to twelve months, depending on the patient, the type of filler and the location the filler is placed. If you are unhappy with the results, they can often be adjusted. Additional fillers can be injected to provide better balance, or it can be dissolved through massage and an injection of an enzyme substance. The key to a positive, safe filler experience is by using a provider you trust. If the price is too good to be true, then something is wrong. Oftentimes, lower quality providers will dilute the dosages of filler in order to charge less. You also want to know where the filler came from. Make sure that they came from the United States and are not made with any silicone, which can harden over time. Remember that the process of injecting a filler is an art. You need to trust who is doing it. Build this trust by asking for before and after pictures of patients. You should clearly explain your expectations. Finally, make sure that your provider is properly licensed and trained. At AT Cosmetics, you can trust us. Adam Tattelbaum, MD is certified by both the American Board of Plastic Surgery as well as the American Board of Surgery. If you want to know more about fillers in Rockville, contact us today.